We have a wide array of cat emoticons on our site, and this orange kitty is a terrific holiday image that will brighten up any Facebook page. If you're feeling merry, share the feeling with your network. 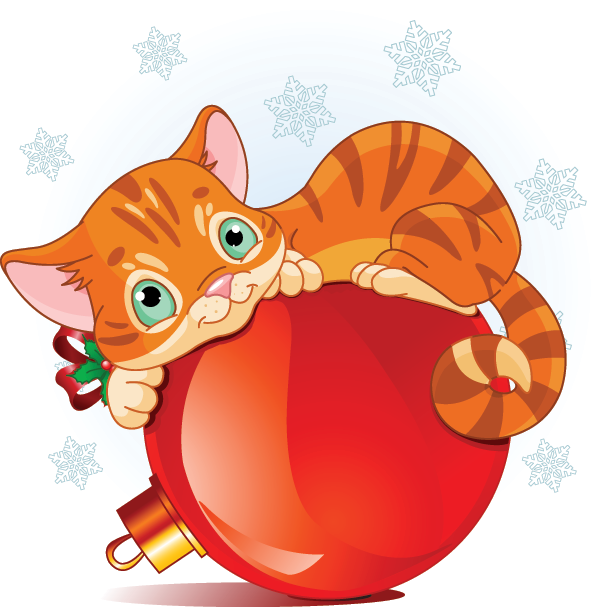 This Christmas cat will add holiday cheer to any chat session.